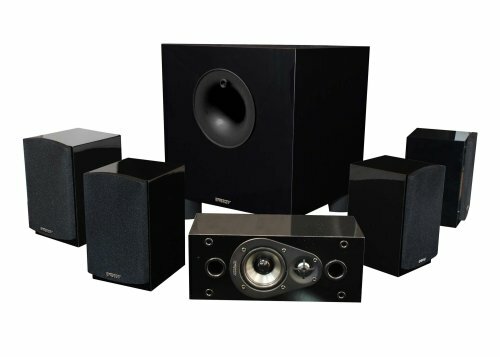 When you are on a tight budget, you still can have a good home theater system. That’s why we prepared the best home theater system under $500 buying guide for the best experience watching movies and gaming in your home. Everyone enjoys a trip to the theatre to watch the latest blockbuster. It’s like the action and high volume speakers draw you to a place that feels so good and enjoyable. Your friends probably come over every weekend to stream Netflix in your home. There’s no way around unwinding in the presence of great entertainment, and that’s what home theaters are all about. Besides having the TV and DVD player, a home theater system hits all the right buttons in bringing the experience home. With the best home theater system, you have amazing sound quality and pictures are larger than life. Luckily technology has allowed us to enjoy the theatre right in our homes. And you don’t have to spend a fortune to own great sound and imagery. This is the number of speakers and subwoofers the set up is going to have. It is usually indicated as 2.1, 5.1, and 7.1. Subwoofers are essential as they produce the bass you need when listening to music and action movies. 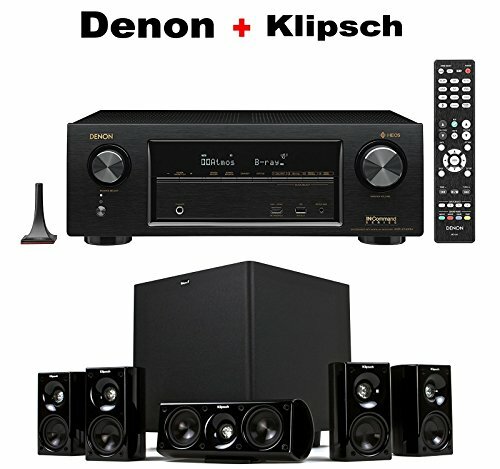 You’ll want to choose from either a home theater receiver or Preamplifier/amplifier combo. For home theater receivers, you have functioned as a radio tuner for AM/FM while preamplifiers offer amplifiers and subwoofer output setups. You’ll want the flexibility of placing the subwoofer anywhere in the room. Large subwoofers guarantee excellent sound output and quality. But if it does not fit the setup of your home it’s going to impact the sound performance. The amplifier provides power to the speakers. The receiver may be a Blu-ray player, DVD, CD player, or an amp with an inbuilt radio tuner. Regarding the number of speakers you want, it’s good to look at how many speakers the amplifier can support. The essence of a home theater system is bringing the cinema experience to your home. You have a choice between OLED and LED/LCD with display quality from 720p to 1080p and 4K Ultra HD. How many ports are available on your home theater system? You should be able to connect to a variety of devices including high-definition units using HDMI and DVI. If not, you can also have the option of including adapters like an HDMI switch. Here, you are looking at features like internet access, Bluetooth, and ability to connect to social networks. If you are looking for a totally immersive experience without buying separates, the Sony model is just right for you. It features 5.1 channel surround and a Blu-ray player that supports 3D video playback. 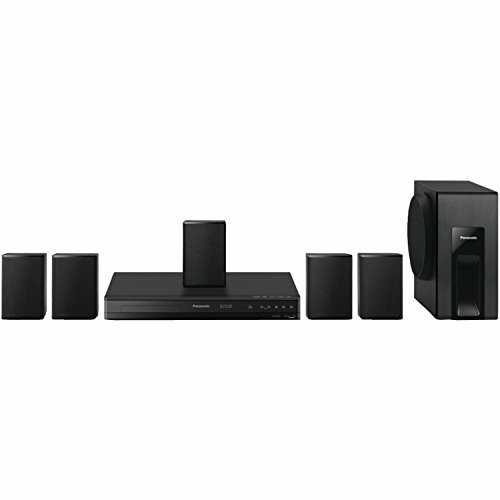 You have five stereo speakers and a subwoofer to complete the high-performance audio setup. With the Sony 5.1 Channel, you can browse and access everything right from the comfort of your big screen. It supports downloading of apps, streaming of video shows and movies, and even online shopping. Not to mention, you won’t need to install anything extra, just use the inbuilt Wi-Fi system. Another bonus is the Bluetooth connectivity that allows using your mobile device to listen to music wirelessly. Loving it? 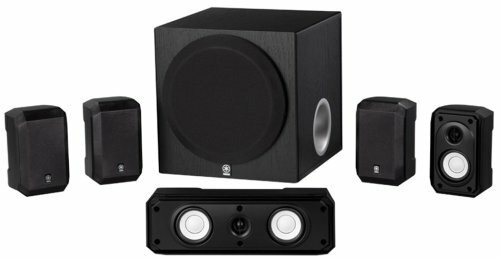 Have a look at 13 Best Wireless Surround Sound System Reviews. Powered by 100-watt 8-inch center channel subwoofer, the Yamaha YHT-3920UBL is probably your best bet in bringing the theater experience into your home. It uses four surround speakers that use Yamaha’s audio decoding technology to improve the sound quality. The receiver comes with all the perks of a top of the chart system including Bluetooth connectivity, Wi-Fi, Ethernet, Wireless Direct, and 4K Ultra HD. Setting it up is quite easy thanks to the well-illustrated instructions available on Android and iOS Yamaha apps. This system uses an automatic system that automatically calibrates according to your listening environment. Using the Virtual CINEMA FRONT, you can place all the speakers in front and still get the best sound output. This system also provides an HDMI output and four HDMI inputs. It’s just about the beefiest setup you are going to get for under $500. The Klipsch HDT-600 offers an exciting sound that is well-balanced and clear. It features a center channel speaker alongside four matching satellite speakers. The subwoofer is quite powerful seeing that it bears explosive bass that can fill even a large room. It achieves a sophisticated look with the black matte finish which is smooth on every satellite speaker. By using Klipsch’s MicroTractrix horns, each speaker increases its output to give an improved audio surround. Not to mention, the solid MDF cabinet that is perfected for low resonance with its bass-reflex design helping you gain a deep bass for a real home theater experience. The whole system is enclosed with medium-density fiber-board making it all the more useful to handle vibrations when the sound is pumped up. If you want to move away from the traditional black matte finish on home theater systems, then the Fluance walnut look is for you. It has a plush style that showcases everything you’d like to see on your home theater system. First, you have powerful 6.5-inch woofers, deluxe neodymium silk dome tweeters, and poly-coated midrange drivers. Each speaker uses Dolby surround and DTS systems such that the audio performance is top of the chart at every volume level. The tweeters can reach high pitches that are exhilarating when listening to your favorite tunes. It also gives rich lows thanks to the floor standing speakers that allow for low-frequency response. This setup is a definite go-to when looking to have a wholesome cinematic theme on each movie night. Each of the speakers has a detachable black speaker grille. Setting the Energy 5.1 is quick and easy. It weighs only 2.9 pounds, and it has multiple mounting options. Every speaker has connectors and a wall mounting slot. The sound quality is terrific owing to the receiver’s audio management. This system thrives on Flat-on-Axis Frequency Response that has a wide bandwidth. It is synonymous with unifying the sound output such that every speaker gives off the same sound. The 200-watt energy subwoofer sounds much better for its size. It has achieved a significantly low distortion level to radiate an even and clearly audible sound. Do you want to enjoy High Definition soundtracks? Well, you can count on the Onkyo HT-S3800. It uses Dolby TrueHD and DTS-HD Master audio that is identical to the sound master. It has four inputs that support 4K ultra HD for that immersive viewing experience. It produces cinematic surround sound, and you can owe that to its HDMI processor. 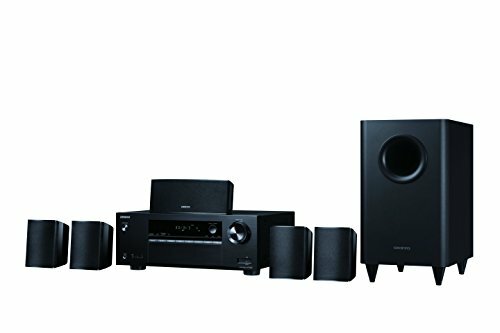 The Onkyo model features a high-powered amplifier that increases the speaker’s audio control. In the end, you have dynamic sound production that is built on surround sound for streaming music and gaming. The 5.1 channel audio includes five analog speakers and a slimline subwoofer which delivers a superior depth of bass. If you earn some extra onboard features, the Onkyo has built-in Bluetooth that you can stream any type of audio from your PC, smartphone, or tablet. Finally, to connect the Onkyo system is simple thanks to the simple illustration on the back panel of each of the devices. This setup is sleek and a complete entertainment hub. The Samsung HT-J5500W provides an easy solution for you to feel like part of the action. It is a full theater in a box system with a subwoofer and five home theater speakers. It also includes a 3D Blu-Ray receiver that is synonymous with Samsung’s gloss-black finish. It has a brushed top panel and touch controls at the front. For the speakers, each has a sleek and compact design such that you can place them discretely in a small room. The quality is solid as you can see that the speakers maintain metal mesh on the exterior. The setup has a modern chiseled front panel, and it’s lightweight all the way for straightforward installing. When it comes to the socket selection, we find that it is a little limited since you get one HDMI, USB, and one digital audio output. This means you are limited to the TV but not to gaming consoles or other receivers. Nevertheless, it has an Ethernet port, built-in Wi-Fi Connectivity, and FM radio antenna input. Are you tired of watching movies on plain TV sound? Then, you’ll want to consider the Panasonic SC-XH105. It is a multichannel system which features a 5.1 channel speaker which delivers 300W of power. You can count on it to give mind-blowing sound quality. The subwoofer has a great bass-reflex that exudes the ideal movie-watching experience. With the HDMI conversion, you can enjoy video output at 1080p. This opens your home to that cinematic theme that lets everyone enjoy a weekend of movie binging. Not to mention, you can enjoy music, videos, and even photos using the USB playback. The Panasonic SC-XH105 is built such that you can place it in many places in the living room and the sound is still amazing. From the front of the TV to every corner of the living room, this system just gets you audio that’s nearly the same as what you’d get in the cinemas. YAMAHA’s NS-SP1800L with its two-way satellite speakers and 2.5-inch woofers and ½ inch tweeter deliver audio that’s amazing every way you listen to it. The 5.1 channel configuration is great for movies as it is for gaming and audio streaming. The setup includes a center channel speaker and four compact satellite speakers. It delivers complete surround sound that unifies your living room by not overwhelming it with the richness. It utilizes YAMAHA’s Servo Technology that syncs the amplifier and speaker such that they work together to achieve the sweet spot in sound performance. You’ll also like the sophisticated drivers that carry a full range system frequency response for a natural, lively sound. It has an accurate bass, with elliptical highs, and restored harmonics. Another important aspect is that these speakers have been magnetically shielded to preserve their sound. You can expect the sound output to be always well-balanced and clear. It also enjoys versatility in the placement since you can configure it in different positions for optimal performance. 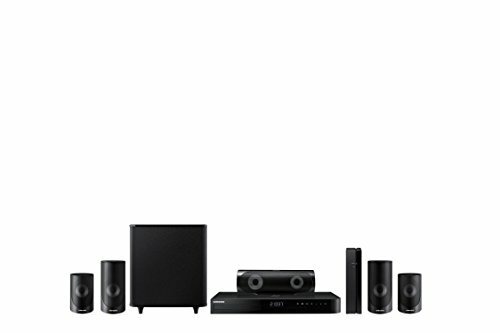 The VIZIO SB3851 comes with actual surround speakers and a wireless subwoofer. 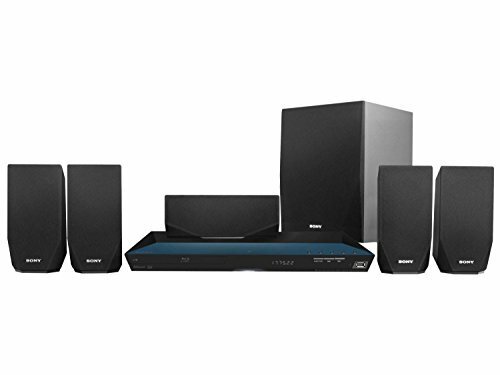 For best home theater system under $500, this system includes Dolby decoders and built-in DTS. It is perfect for DVD, Blu-Ray, Broadcast, and Cinema content. It has improved acoustic capability that adds to impressive audio. It comes with a 38-inch soundbar complemented by two rear satellite speakers. Each of them has the cables needed for a quick hook up. Better still the cables are long enough, so you don’t have to install the speakers close to the subwoofer. 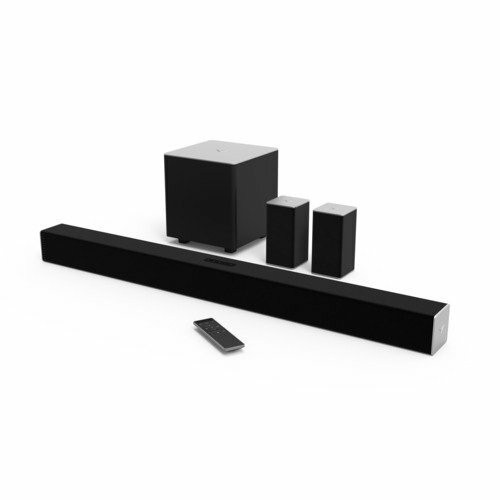 The sound bar and speakers also have the same modern and classy design in black and silver. You get to have more than enough flexibility when it comes to controlling the operations of this system. You can opt to turn the volume up and down on the buttons or use the VIZIO SmartCast app which gives you more control. The sound from VIZIO SB3851 is clear and accurate. 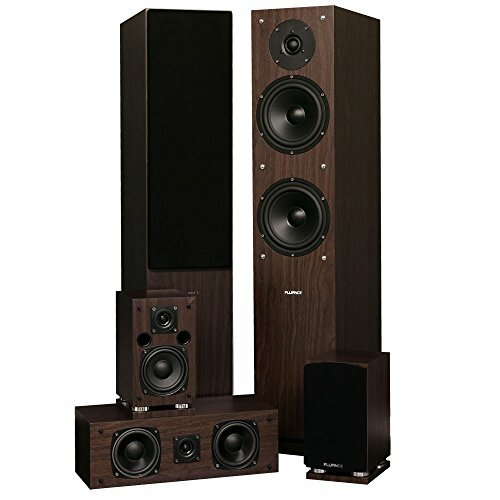 It’s just what you’d want to listen to from the number one performer in the under $500 home theater category. 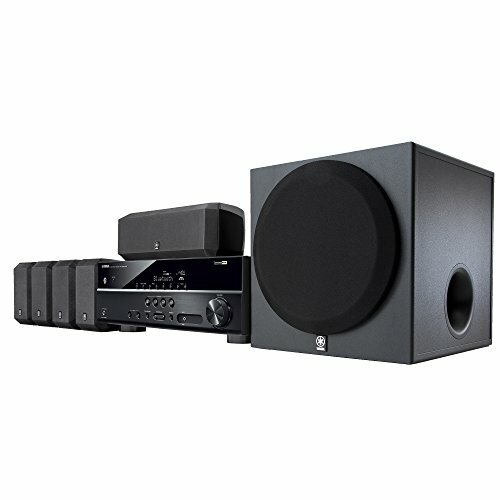 Buying a home theater system on a budget (home theater system under $500) doesn’t mean you get to listen to crappy sound. The models on our list hold in abundance sound richness, technological advancements, and great bass power. They promise to serve you perfectly even though you won’t be spending the last of your savings on them. We hope you find our guide helpful and informative as you try to make a great choice.